Your relationship with your spouse or partner may be the most important one in your life. 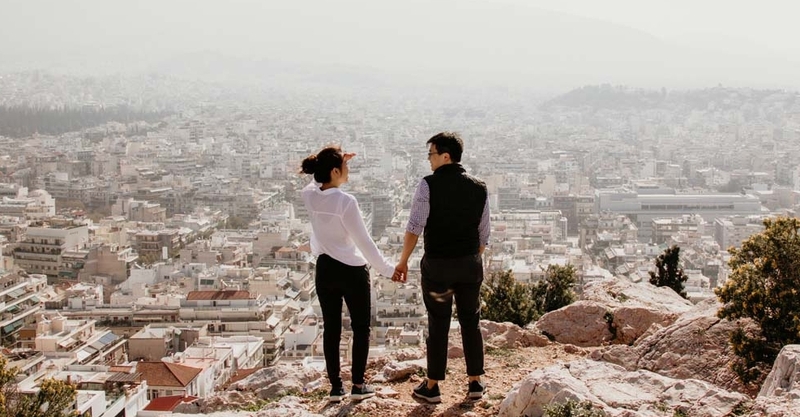 However, for many people living a fast-paced lifestyle and trying to keep up with hectic schedules can take a toll on their relationship happiness. Just like anything else you want to achieve in your home life, improving your relationship is simply a matter of focusing your attention on the problem areas. Then of course, making the changes every day in order to make the impact on your relationship. For each relationship, the goals will be different but there are some habits known to boost relationship happiness. Stress is something that most people just blow off as part of life. While stress is something that everyone has to deal with, you may actually be harming your body and even shortening your lifespan if you suffer from what’s known as chronic stress. This is the type of stress that continues for extended periods of time, which for some people may even be months or (gasp) years. Sleep is the first thing that people under stress start to skimp on when they need to get more done. Whether it’s at work or at home, there may not be enough hours in the day to get it all done. And for that reason, you may cut back on quality sleep to fit everything on your to-do list into your schedule. But don’t! Getting enough deep sleep every night is essential to all of your body systems and of course your good mood. Just think of it this way: you may not be getting as much done in one day when you sleep for a full 8 hours. But you’ll be able to offer a more focused, energized version of yourself to your partner. When you hear the word “argument,” it may make you feel like running away already. However, if you are avoiding arguments with your partner that could be one of the worst things you could do for your happy relationship. And while you may think just the opposite is true, every argument that rears its seemingly ugly head is an opportunity to listen to how your partner feels. Then, the next time an argument erupts see if you can keep it from escalating. - Listen. Just do it. When you listen, you aren’t talking. And then you can respond, instead of reacting with emotion. - Respond with Love. When your partner has finished expressing themselves, go ahead and just tell them that you heard what they said and that you love them. Then, offer to do anything you can (within reason) to help them feel better if they are still upset. Nobody is perfect and while you may not be able to practice these steps every time an argument occurs you can try to avoid it with these 3 simple actions. Usually, if you cannot deter an argument from becoming a fight it could be because one person in the relationship isn’t getting what they need. But who is a mind reader?! Nobody. So, remind your partner that you don’t know what they are thinking and that if they need something to just ask for it. Sometimes, that’s all it takes to move forward from an argument into an understanding and ultimately a compromise. Never forget that even if you get caught up in a heated argument, kisses can turn it all around. If you love your partner, one of the best ways to lift the spirits of both people is to share a kiss. Make time for one whenever you can. SMOOCH! When you have a busy life, it can be difficult to pay attention to your partner. Because after all, they are the easiest person to tell, “Hey, I’ll just be a few more minutes.” But when you push your partner too far you may notice some warning signs like tension, finding faults, lack of forgiveness, lying or even spying on the other person out of fear or lack of trust. If these things start to happen, you may want to consider talking to a qualified relationship counselor. This is the best way to figure out exactly how to get back on track with your partner. At home, you can work to practice these 5 habits of happy couples to have a BIG impact on your relationship. If they don’t work right away, that’s ok! Keep working on it and even jot down a few of your feelings in a notebook about the results. Then, you can take that to your partner or a relationship counselor if you need any support working through the problem. 1. Stress From Daily Hassles in Couples: Its Effects on Intradyadic Stress, Relationship Satisfaction and Physical and Psychological Well-Being. Journal of Marital and Family Therapy 41(2). May 2014. 2. Xiao Ma, Zi-Qi Yue. The Effect of Diaphragmatic Breathing on Attention, Negative Affect and Stress in Healthy Adults. Front Psychol. 2017; 8: 874.